BLUE PETER Series® bearing sensors assure accurate measurement of motor/generator bearing temperatures. 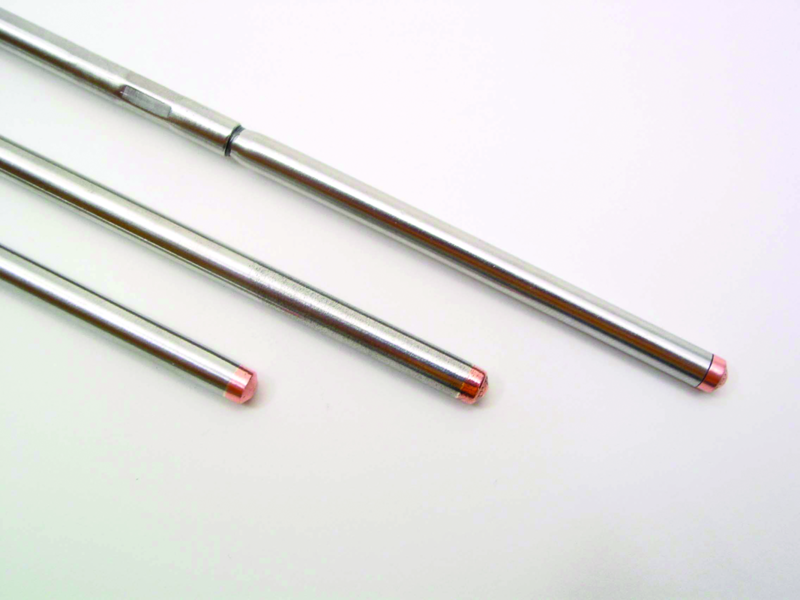 Our probe style RTDs and thermocouples continuously sense the thermal condition of bearing assemblies. Available in a number of different sheath diameters, probe lengths, body designs and element types, BLUE PETER Series® bearing are the ideal choice for motor OEMs and fast paced motor repair businesses. deterioration of the lubricant oil film thickness and quality. It is critical to monitor motor bearing temperature. Results of bearing failure can range from unscheduled down time, to major equipment repair/replacement or, worse case, human injury or death. Excess heat signals problems and the potential for future bearing failure. If caught early, the results from bearings running at higher than specified temperatures can be minimized. A typical bearing temperature rise range is 40 to 80deg F (4 to 27deg C) for most industrial applications. However, a bearing temperature rise over ambient of up to 120deg F (49deg C) is possible under extreme conditions.